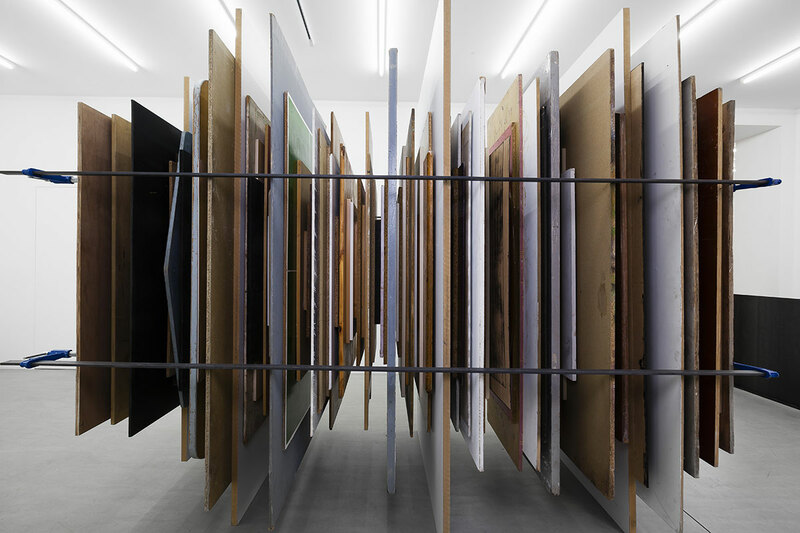 His installation Dig-up is made of boards of variable size, colors and textures vertically kept together by two clamps. The whole structure stays in balance in the space without any extra support. The action is defined by the balance of power among three components: a specific place, the use of raw materials and the body, according to a scenario that an only simple sentence can describe. In order to understand the process, the starting point has to be taken in consideration: it’s precisely the link between the physical characteristics, the technical aspects of the place and materials that will shape the success of the operation: wooden boards more of less heavy, metallic bars more or less long, a corridor more or less narrow and then the artist’s body, his height, his weight, his flexibility, his state of mind, his endurance, his perfect balance. But going to the end of his own rules, the artist knows sometimes that won’t be able to achieve his objective. He has even prepared himself to the protocol failure. At the certain moment his muscles won’t be able to support the tension, forcing him to give up. His discipline pushes him to purify the gesture, the task as restrictive and tedious as it is, is always executed with a certain aestheticism. Claude Cattelain worked for many years on illustrations and paintings before turning to performance and video. 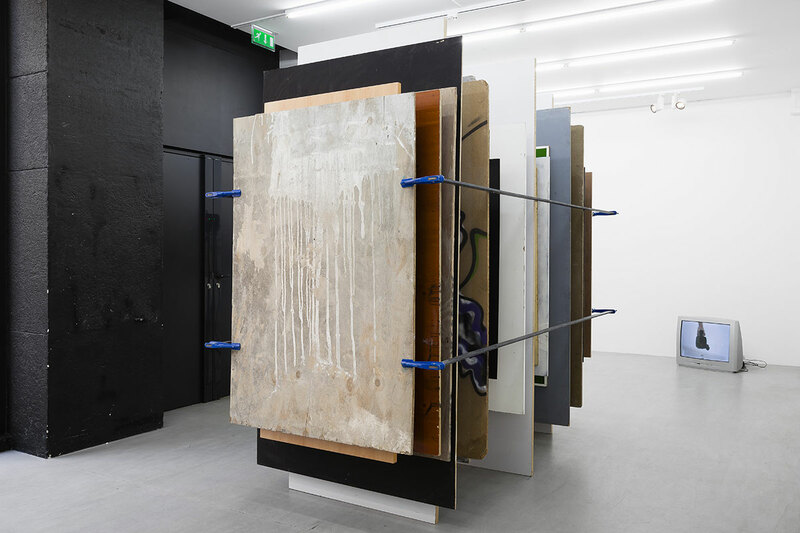 The action of dismantling painting’s frames and testing their resistance and stability made him question the connection between structure, body and space. 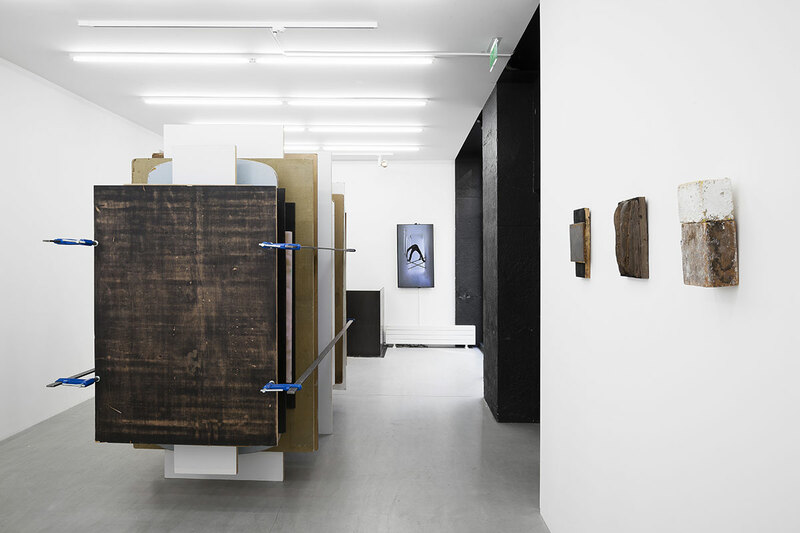 The work of Claude Cattelain has been exhibited at Musée des Beaux-Arts d’Arras (2017), Clovis XV (2016 – Bruxelles), Musée des Beaux-Arts de Calais (2014), à la MAAC (2013 – Bruxelles). He participated to the collective exhibition « Soulèvements» curated by Georges Didi-Huberman at Jeu de Paume (2016- Paris), MUNTREF (2017 – Buenos Aires) and Museu Nacional d’Art de Catalunya (2017 – Barcelona). 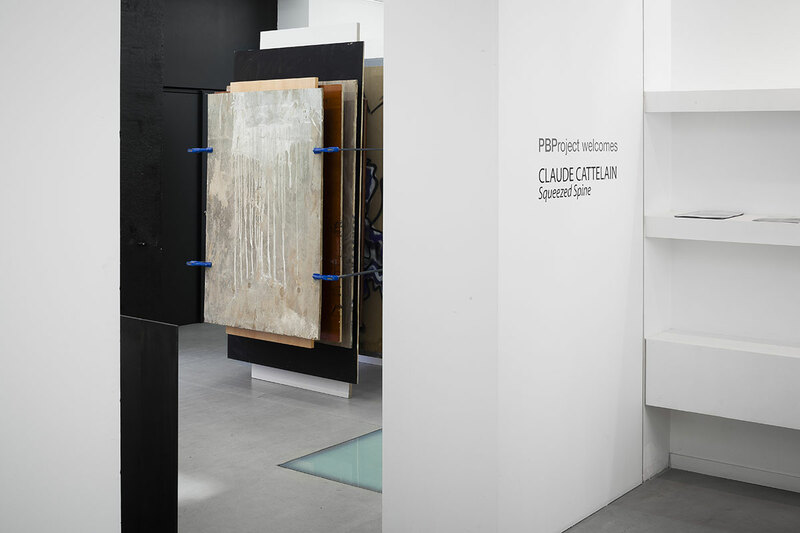 He also exhibited at Frac Languedoc-Roussillon, LAM (2017 – Villeneuve d’Ascq), Villa Arson (2017 – Nice), He performed ar James Turrell’s Skyspace of MHKA (2017 – Anvers), at Thaddeus Ropac Gallery (Jeune Création 2017 – Pantin), Palais de Tokyo (2014/2012 – Paris), Musée Würth (2012), Frac Alsace (2012), Crac Alsace (2012), Musée des Beaux-Arts de Valenciennes (2011), Musée Matisse (2005 – Le Cateau-Cambrésis). His video works have been screened at Biennale de Louvain-La-Neuve curated by Angel Vergara, Joël Belzakin, Argos (2017), Video Festival Now & After, curated by Marina Fomenko in 2017 and Arnaud Brihay en 2016 (Moscou), Centre Pompidou (2015 – Paris), Victoria & Albert Museum (2006 – London), au Museu Nacional Reina Sofia (2004 – Madrid). His work is part of the many institutional collections such as Cnap (Centre national des arts plastiques), Frac Languedoc-Roussillon, Musée des Beaux-Arts d’Arras, Musée des Beaux-Arts de Calais.